By Deborah S. Kauflin, Ph.D. It is astonishing but true. If you dig into this subject, you will find things that you really don’t want to know. They really are here. Visitors from outer space have been on Earth. Though some people who have contact with these beings believe that they have been helped by aliens, others are not so lucky. This leaves us to guess that either there are different types of aliens or there is only one type who brainwashes certain victims. Those who think that their contact was pleasant may simply be under some sort of mind control. There is no doubt that some who are taken by aliens are hurt by them. Whether these people suddenly have mysterious illnesses or suffer from ‘pop up’ scars, bad things happen to them. ‘Pop up’ scars are scars which develop out of the blue, with no explanation. Victims will wake up in the morning with big scars that appeared overnight. I’ve seen pictures of these scars. They are not small, tiny things. They are large, particularly the scars which are located on women’s tummies. 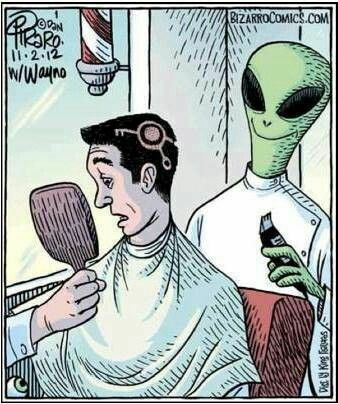 The after effects of alien abduction can be life shattering. Not only do people suffer post-traumatic stress, but they also know that very few people will believe them. Abductions are very similar. These cruel E.T.’s stalk and take humans. Once they capture a man or woman, they do experiments on them. That is how they have gotten their knowledge of human physiology. Sometimes these abductees return; other times, the kidnapped never come back. Many report in vitro programs. Basically, aliens are abducting women, doing modifications to them, and creating hybrids. Though some people may laugh at that, enough people have reported it to at least listen. Whenever the abductees would try to ask questions of the aliens, certain E.T.’s would say ‘primitive ape.’ Their telepathic words were a put down. It was meant as an insult. The aliens were arrogant and had no regard for the feelings of the abductees. Abductees stated that it was like the words were ‘said’ in a snarky way. Clearly these entities do not think very much of us. We are merely lab monkeys to them. The ‘primitive ape’ words are very important here. Why? Because I have had abductees from around the world report this to me. These people did not know each other and they spoke to me at separate times. I should also point out, that as they were trying to tell me more about their abductions, they would get spooked. They became afraid that the aliens would hurt them if they gave away any more secrets. This frightened behavior was common when abductees got to certain points in their stories. One wonders if the aliens do work some sort of mind control on humans. Or perhaps there was coercion/blackmail of some kind. Many expressed fears for their families’ safety. We should ask, if there are good aliens out there, why aren’t they intervening and stopping the bad aliens? Why are these experiments allowed to go on? This is not the behavior of a friendly entity. When I began investigating all this, I was very cynical. I did not believe it. However, after years of research and talking to many people who have gone through these experiences, I do believe that this happens. Too many upstanding individuals with no mental illness (or no medication/drugs) have talked to me and told me these stories. The stories match up well. Many abductees were in law enforcement and come to me because I am a retired criminal profiler. These trained observers know what they are talking about. Over the years, we seem to be getting a drip, drip, drip of information about UFO’s and aliens. 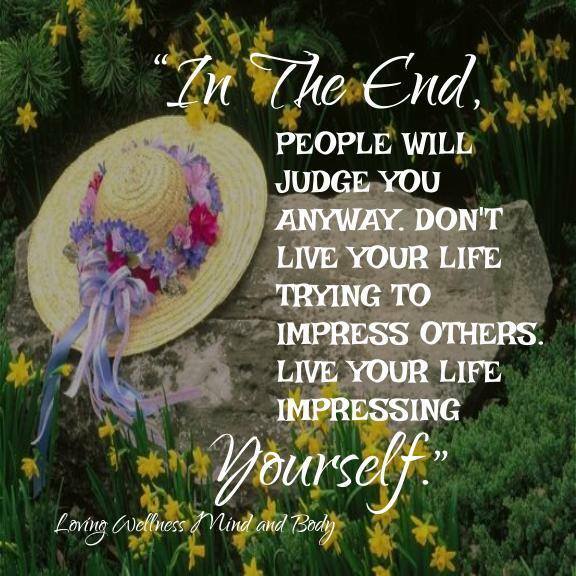 As more people feel comfortable talking about their experiences, we will learn even more. If you have had an experience, I’d be happy to talk to you. Your name is kept secret. Know that you are not alone in all this. This entry was posted in Paranormal and tagged alien, alien abduction, deborah kauflin, deborah schurman-kauflin, E.T., paranormal, UFO on October 23, 2015 by spiritdeb. 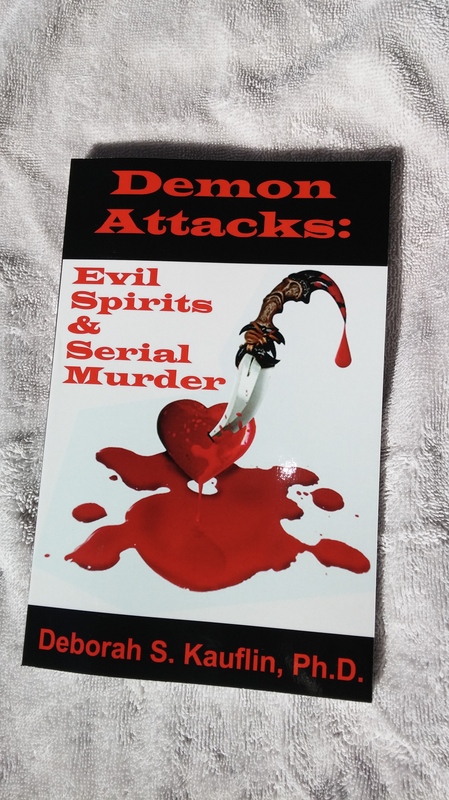 Demon Attacks: Evil Spirits & Serial Murder (Now Available in paperback! The paperbacks came in today! Warning: Disturbing accounts of serial killers and demons. What if the world’s worst predators worked together? Could evil spirits and human monsters act as one? Paranormal researcher and retired criminal profiler Dr. Deborah Kauflin looks into the frightening link between bad spirits and serial killers. Whether you love the paranormal or study serial murder, this book delves into the lives of serial murderers and their experiences with otherworldly entities. After interviewing 25 multiple murderers for criminal profiling research, Dr. Kauflin found a disturbing link between these killers and dark paranormal activity. Based on the interviews with both killers and witnesses, she pieced together an eerie puzzle which shows that evil spirits really do interact with serial killers. Just who or what is stalking victims with these murderers? Dr. Kauflin worked on hundreds of serial murder & sexual homicide cases for police departments. She taught thousands of homicide detectives, FBI agents, US Military, and created the profiles of female serial killers, sadistic murderers, and terrorists. Back in November 2008, Dr. Kauflin predicted that India would be the next big terror attack in her book Disturbed. Two weeks later, terrorists hit Mumbai and took 166 lives. Her most famous profile was of the BTK serial murderer, and she is known for being the first person to interview a group of female serial killers for groundbreaking criminal profiling research. Dr. Kauflin has appeared as a criminal profiling expert on ABC, CNN, FoxNews, The Discovery Channel, Investigation Discovery, and the Seoul Broadcasting System. She wrote for Psychology Today Magazine online, did volunteer work for the National Organization of Parents of Murdered Children, and has authored four other books. “I’m not going to tell you what is hanging out with some serial murderers. You can call them thought projections, Djinn, demons, bad ghosts, parasites, aliens or other entities. 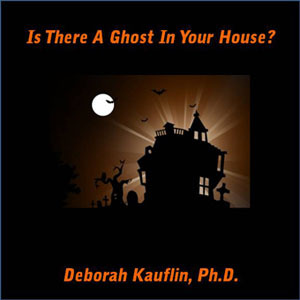 However, there is something paranormal going on with certain serial killers.” Deborah Kauflin, Ph.D. This entry was posted in Paranormal and tagged deborah kauflin, deborah schurman-kauflin, demon, demonic possession, ghost, haunting, serial murder, spirit on October 2, 2015 by spiritdeb.